NEW SERIES! A new, additional ongoing ANIMOSITY series! One day, the animals woke up. They started thinking. They started talking. They started taking revenge. Now, they've started building. In a city by the sea, a new power is on the riseand they're making an animal kingdom all their own. 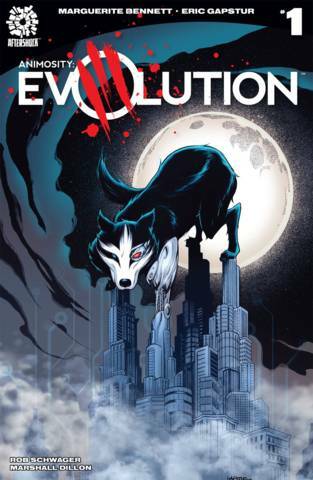 From the brilliant mind of creator/writer Marguerite Bennett (INSEXTS, Bombshells and Batwoman) with artwork by Eric Gapstur--ANIMOSITY: EVOLUTION is an exciting new series that expands upon this already amazing world!